Barneys style #: 500140940 : Leather asymmetric zip front motorcycle jacket with button snap notched lapels and zipper pockets. Fully lined. Available in Black. Imported. Leather, cotton/acetate lining. Professionally clean. 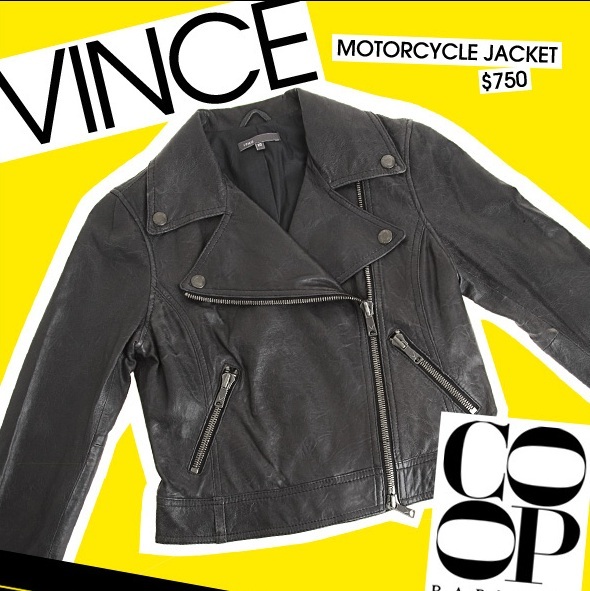 You really should buy motorcycle jackets at Barneys.